Join Us for Our Fall Show this Sunday, October 19! After the August hiatus, the September show was a great kick-off to the remainder of the 2014 season. 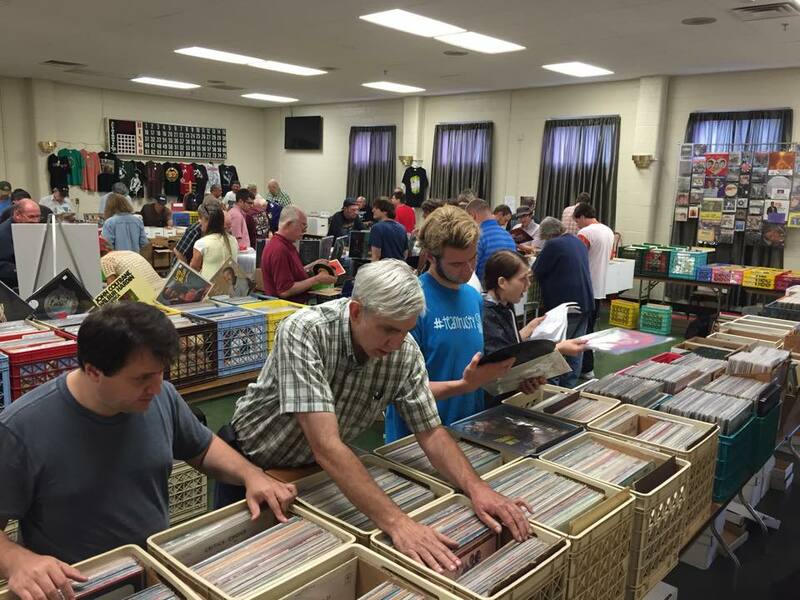 There were brand new vendors and legendary record collectors/sellers from across the pond and Europe. More on that story coming up! 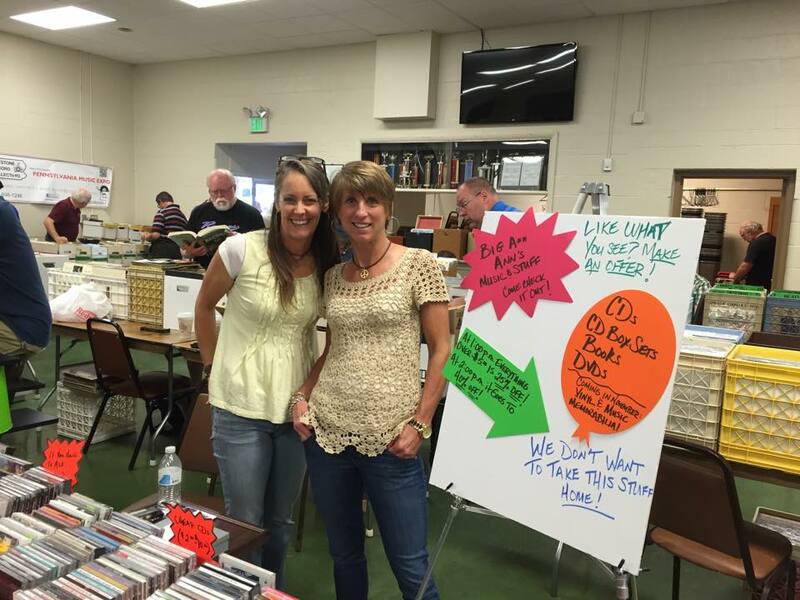 You never know what surprises – and people you will find at the Arbutus Record Show. Before cheering on our home team, there is plenty of time to come to the show. Admission and parking is always FREE and the hours are 9 am to 3 pm. See you there and wear your Purple Pride! First time vendors Ann and her friend Preston had attendees – and longtime veterans and fellow vendors – hopping around their table snatching up great deals on CDs and CD collections. They will be returning for our November 16th show! An amazing story unfolded at the show with the participation of a celebrity. A tall, lanky Scotsman with an easy laugh and full of great stories, John Anderson (left) is a legend in the world of music and record collecting. Ted, an out-of-town vender from Georgia (pictured right) couldn’t say enough about him. Anderson travelled to towns big and small in the US and paid as little as a pound or 50 pence a piece for these rare records. British DJs and music lovers could not wait for John to bring back his latest finds. He sold the music to fans through his business, “Soul Bowl,” and become a premier expert and supplier of rare American soul music to the UK and beyond. 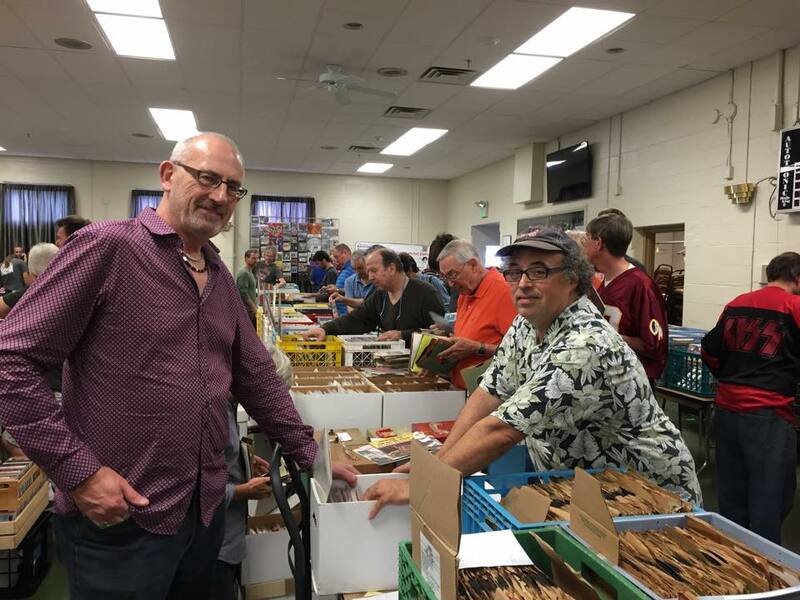 John is still making trips to the U.S. and this time he came with other European collector friends – Richard, Angus, and Thorsten who has a record shop in Germany and his buddy Marcel from Belgium, an avid collector. It was quite an international gathering at the show that day and we were so honored to have John and all these gentleman with us! Pictured: Marcel, John, Janet & Frank Ruehl, organizers of the Arbutus Record Show. This entry was posted in albums, arbutus record show, big band, books, CDs, christmas, collectibles, country, jazz, love songs, music, posters, psychedelic music, R&B, Rock n Roll, rockabilly, vintage, vinyl and tagged albums, Arbutus Record Show, Beach music, big band, books, CDs, collectibles, country, country music, DVDs, funk, gifts, jazz, John Anderson, Love Songs, music, Northern Soul, posters, psychedelic, R&B, record show, records, rock and roll, rockabilly, soul, Soul Bowl, soundtracks, T-shirts, UK, vintage, vinyl by arbutusrecordshow. Bookmark the permalink. I just missed your last show on the 19th. What is the date for the next show? How does the sale work? Me and my family have 4 large boxes a record albums and not sure what to do with them. The next show is November 16th. If you are interested in being a vendor or to reserve a table, please call Frank Ruehl at 410.242.4649 or email: arbutusrecshow@gmail.com for more information.